There’s a new epidemic going around and it has nothing to do with a virus or bacteria. No, it isn’t drugs either—not the illegal kind at least. Instead, the problem lies with antibiotics being prescribed too much by healthcare providers in the United States. When these strong medications are overprescribed, like when they are given to a patient with a virus, bacteria can gain resistance.Many patients think that they should be prescribed an antibiotic, or want one, the moment they come down with an illness. 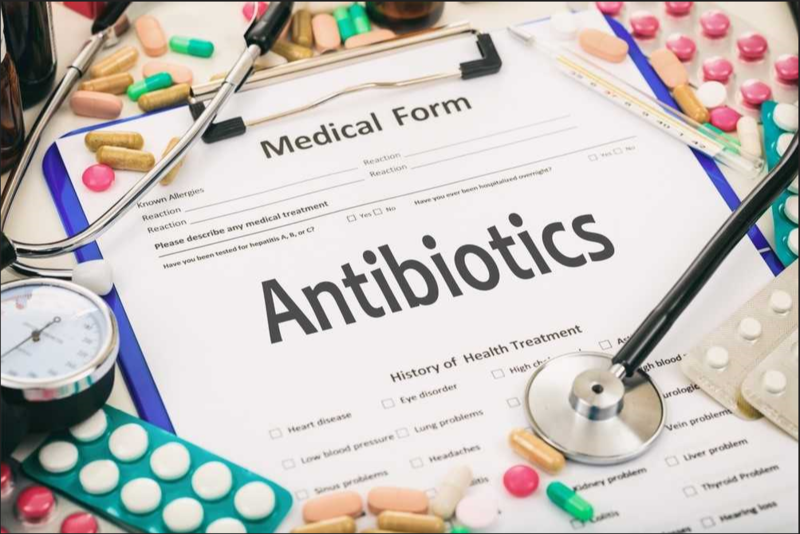 However, it is important to ask yourself, “Should I be taking an antibiotic?”With some background information and a little help from a certified, friendly healthcare provider at Velocity Urgent Care, you’ll be prepared to answer the question next time you get sick. Millions of people come down with some sort of sickness each year. Most of these are easily treated within a few days to a week. However, the approach to treatment varies greatly depending on what type of microorganism is responsible for causing the illness. Both bacteria and viruses can cause infection and a wide variety of symptoms. This often makes it difficult to separate the two. For example, the common cold is a viral infection that can cause a runny nose, sore throat, and fatigue. Meanwhile, strep throat is a bacterial infection that causes severe throat soreness, painful swallowing, and a fever. Since strep throat and other bacterial conditions like whooping cough and urinary tract infections are caused by living organisms, they can be treated with antibiotics. Unfortunately, the same is not true for viruses. In fact, antibiotics are useless against infections caused by a virus. For example, the common cold, sore throat, and the flu. Instead, healthcare providers should suggest treatment options that help manage symptoms associated with the illness. Antibiotics are very strong, very important medications. They have saved countless lives since their invention. As time goes on, drug manufacturers continue to develop new and better antibiotics for treating a host of bacterial infections. However, they cannot cure everything. Many people wonder why antibiotics can’t kill viruses if they’re such a strong medication. In general, most antibiotics work by disrupting the cell wall of bacteria. However, viruses usually have an envelope that is nearly identical to human cells, making them extremely difficult to target. So, in essence, when antibiotics are used correctly to treat a bacterial infection, they are extremely efficient. Unfortunately, these drugs are not able to treat viruses and should not be prescribed to patients with viral illnesses. As mentioned, antibiotic resistance is a significant problem today. It occurs when bacteria no longer respond to the drugs designed to kill them. In other words, they are immune to the antibiotics. When this happens, patients with bacterial infections are treated but are not able to improve. Resistance to antibiotics can develop in one of two ways. First is the over-prescription of antibiotics. When doctors order antibiotics for patients that don’t truly need them, bacteria in the community are exposed to the drug and are able to develop resistance to it. Meanwhile, resistance can also occur when patients don’t take antibiotics as prescribed. For instance, by not taking a finishing a prescription once symptoms disappear. Once bacteria develop resistance to antibiotics, they are capable of causing much more serious infections. In many cases, these can be life-threatening. Estimates suggest that 23,000 deaths occur annually from antibiotic resistant illnesses. Antibiotics are a powerful tool in our fight against illness. However, they are not always the best solution. At Velocity Urgent Care, our knowledgeable team will provide guidance on the most appropriate way to address your symptoms. When you come in to one of our urgent care locations across Virginia including Woodbridge, Virginia Beach, Norfolk, Suffolk, Newport News and Williamsburg, you can rest easy knowing you’ll get the treatment that is best for your specific illness. If you want to skip the line, check in online, make an appointment, or walk in when it’s convenient for you. Should our care providers determine that you need antibiotics, you can get a prescription on-site. If you’ve come down with a virus like the cold or flu, we’ll help you manage your symptoms effectively and efficiently so you can get back to feeling like yourself.